Zurvita Holdings, Inc. was founded in 2008 and is based in Houston, Texas, (USA). The company currently offers consumer products through independent marketing representatives. Its principal products comprise of Zeal Wellness, a natural nutritional drink; Zurvita Protein Shakes designed to block carbohydrate absorption ; Zurvita cleanse, an herbal and probiotic cleanser; Zurvita burn, a natural thermogenic fat burner, a natural carb blocker and appetite suppressant; and Zurvita weight management program that consists of Zurvita protein shakes, Zurvita burn, and Zurvita cleanse. This system comes with a weekly coaching system to encourage eating plans as well as a workout plan. The Company has rapid growth potential due to its experienced sales management team’s aggressive approach with pricing and compensation. Zurvita Holdings, Inc. is a fast growing company and quickly ranked as one of the top 100 Global Direct Selling Companies. Welcome to Zurvita – A Higher Way of Life! Currently call centers are in the USA. If you have been waiting to purchase Zeal For Life Products and or become a part of our consultant team, please be sure to complete the contact form below, so we can contact you. “Our new ‘Zeal for Life Challenge’ marketing concept is getting traction in small town USA, as well in metropolitan markets. The country is becoming more aware than ever of the need to get control of our health through HBO specials like ‘The Weight of the Nation’ and other glaring obesity statistics we are facing in America today. This new awareness, along with an aggressive car allowance incentive program for our Consultants, has been a big contribution to the success we have experienced this year,” stated Zurvita Co-CEO Mark Jarvis. “We reached a milestone in June by recruiting over 1,100 new Consultants and doing over a million dollars in revenue in one month for the first time in our Company’s history. We are very excited to see six consecutive months of growth trends. We believe that the new programs introduced at our Leadership Conference this month will enhance the ability for our Consultants to grow their customer base,” stated Zurvita Co-CEO Jay Shafer. 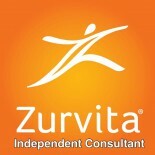 We are Zurvita Independent Consultants and we welcome you! This entry was posted on October 26, 2014 by Zurvita.com/HealthRoads in Australia, Available Countries, Business Opportunity, Canada, Canada, denmark, Diet, Espanol, Functional food, Hong Kong, Ingredients, Nutrition, Nutrition and Wellness, Republica Dominicana, Reviews, Singapore, United States, Weight Loss, Zeal For Life, Zeal For Life Consultant, Zeal For Life Products and tagged antioxidants, APO, appetite suppressant, Armed Forces, Armed Forces Europe, Armed Forces Pacific, Army Post Office, Australia, BComplex, carb blocker, carbohydrate absorption, cholesterol, detox, diet, DirectSellingNews, Dominican Republic, espanol, homebasedbussiness, homebusiness, Hong Kong, Ireland, marketing, markets, Omega3, People's Republic of China, Philippines, republica dominicana, Singapore, spanish speaking country, Stabilizedricebran, success from home magazine, super foods, SuperFoods, thermogenic, uk, zeal for life, zeal for life reviews, zeal in what countries, zeal supplement, Zeal Weight Management Program, zeal wellness, zrvt, Zurvita, Zurvita business hours, zurvita countries, Zurvita Dominican Republic, zurvita growth, Zurvita hours of operation, Zurvita office hours, Zurvita Republica Dominicana, zurvita sales, Zurvita Singapore, Zurvita United Kingdom. Zeal For Life Products - Available in Canada! Zeal Lemon Lime - Newest Zurvita Flavor!